There is a now a Chevy Volt in the WFSB parking lot. Channel 3 meteorologist just traded in his gas guzzling Japanese SUV for an American miser that runs on electric power with gas as a backup. 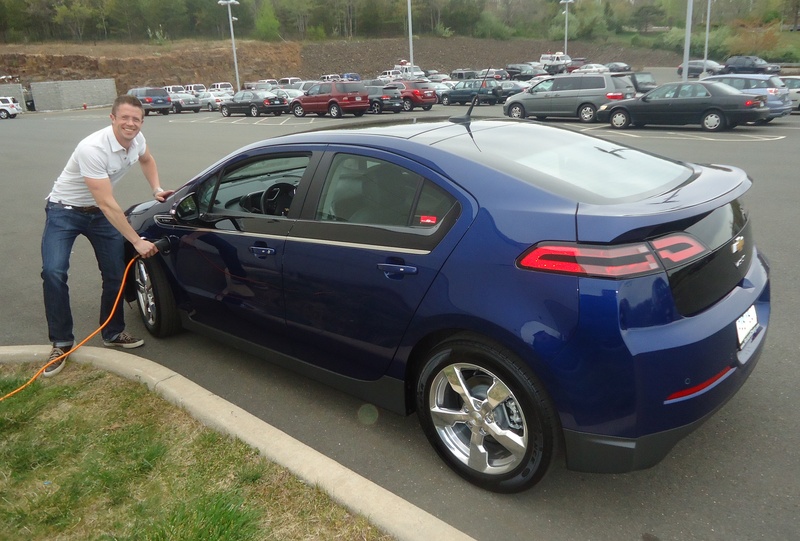 Check this out: in his first 30 miles of owning it , Mark’s Volt got over 200 miles per gallon. The Volt was getting quite a bit of attention outside our studios as Mark plugged it in to charge. It’s really a good looking car, unlike the Toyota Prius, whose awkward appearance resembles a household cleaning appliance. And it is made by American workers at Detroit’s Hamtramck plant, unlike the appliance, made overseas in Japan. Mark’s topaz blue metallic Volt is somewhat rare. According to General Motors communications manager David Darovitz, only 6.7% of Volts sold so far are that color. Will City Name Street for Key Figure in Perez Corruption Scandal? Is your job okay with you running up their electric bill to charge your car? I am 13 months into owning my Volt. I have nearly 14,000 miles on it and have used just 95 gallons of gas since I bought the car. 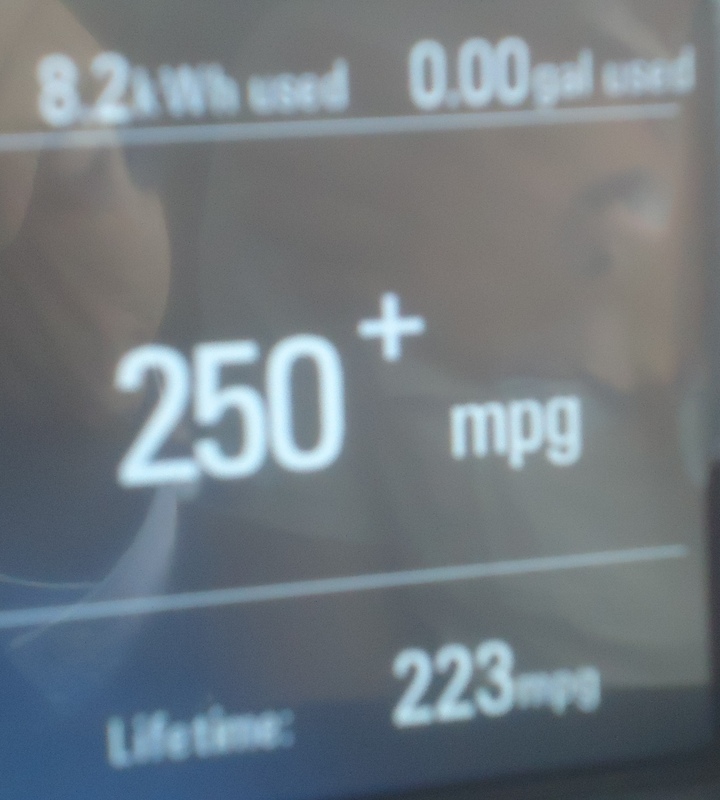 I got rid of a power eating computer around the same time I picked up the Volt, and my electric usage went down despite the fact I’m charging the car every night. I fill up every 4-5 weeks, and it’s usually about 8 gallons or less. Our other car is a Volkswagen TDI – great mileage on that one too! Wow Mark. I hear you are getting married and you two will be starting your married life out in a new car. Keep us posted on how you like the car and how well it treats you. Congrats. Spiffy car; Mark. You’re getting married? Must have missed that one. Congrats! Mark, you forgot to include the gallons of oil it takes to generate the electricity you use to charge your car. How about the gallons of oil used to explore for oil, drill, extract, refine, transport around the country to run a normal gas car? The Volt is still ahead, especially if you have solar panels or other renewable energy sources..